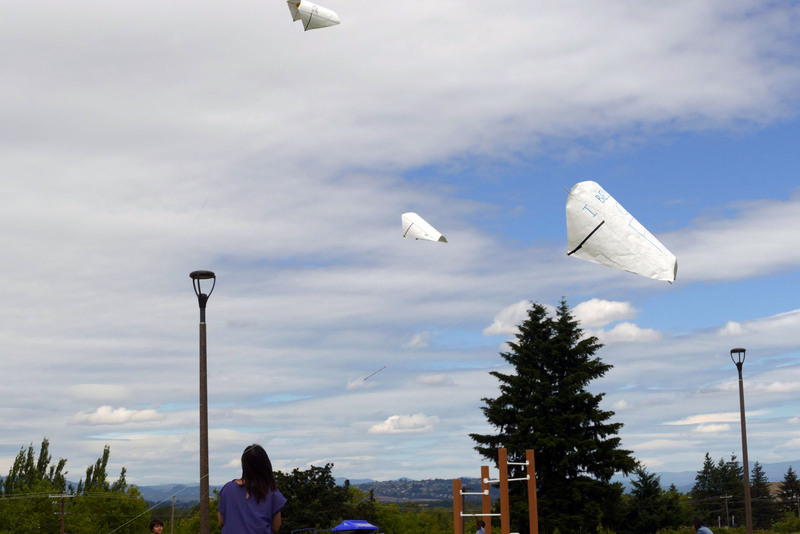 On June 30th I held a workshop making Sled kites at the Grand Opening of Cully Park. We made close to 80 kites in 3.5 hours. The design is the Stormy Sled, now on Github. A special thanks to Gary Goodenough and Colleen Donaldson for helping kids assemble kites, and to Candice, who decorated the “decorate” assembly instruction poster and made our inviting kite making sign. Mitchell, Chanel, Linsay, and Shawn Patrick Higgins also were invaluable to setup and breakdown. Except for the setup images, Shawn and Linsay took these photos.